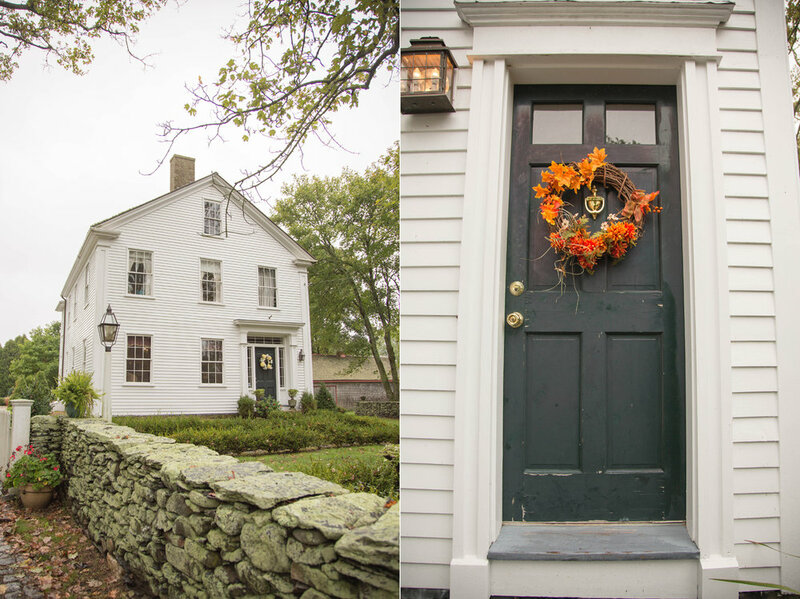 Kaity and Greg were married on first of October at The Meeting House in Tiverton, RI. This is located at the famous Tiverton Four Corners! 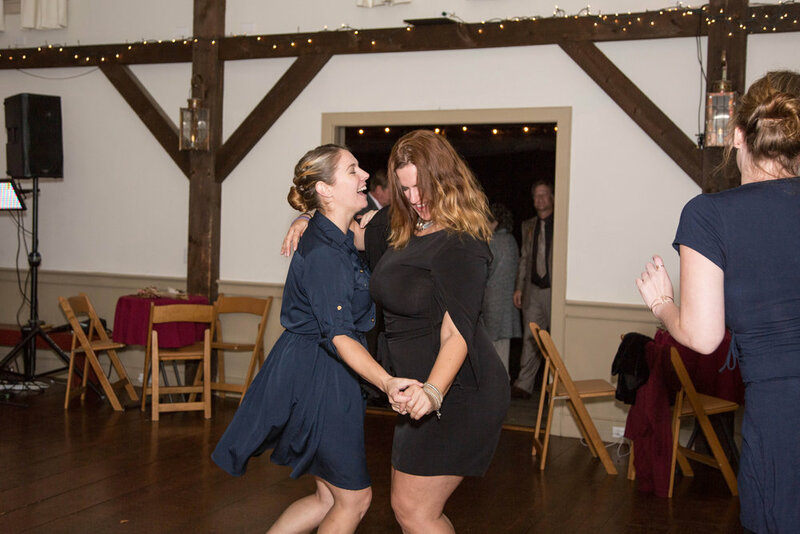 Rain was predicted, but that didn't keep the spirits down of anyone at this wedding! As soon as I walked in to start on photos of Kaity getting ready, I could feel the energy and happy vibes from everyone. I knew it was going to be a fantastic day. Kaity got ready in a vintage house from 1770 - the Captain Phillip Corey House. Such a New England charm added to this day! The house was so amazing, I could have spent all day taking photos of everything inside, hehe. Kaity and her maids got ready, and we all had a blast. Kaity had hand made all of the floral crowns, and the bouquets from dried flowers. 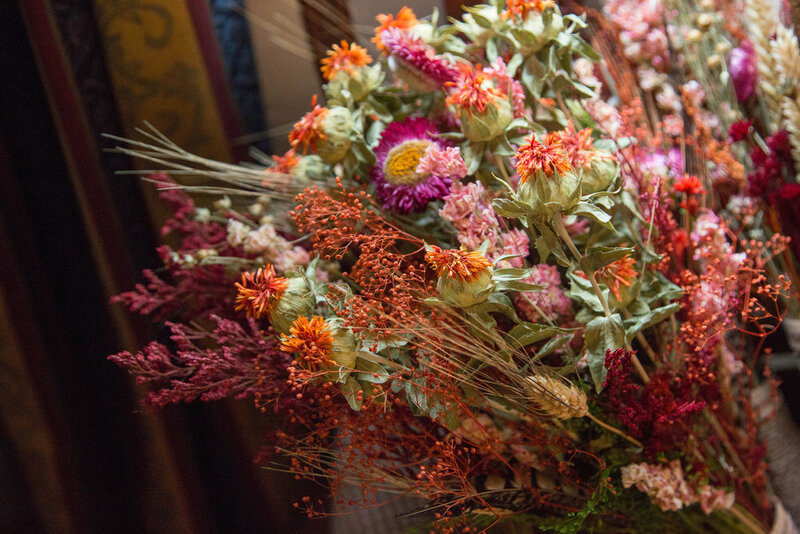 It was my first time seeing dried flowers in a wedding, and I thought they were perfect for this fall wedding! Kaity did an incredible job! Kaity & Greg decided to do a first look, so I suggested we take them in front of the house Kaity got ready at. It was a perfect location for this beautiful moment! I loved how happy both Kaity and Greg were! Due to the rain, the ceremony took place inside The Meeting House. It has a rustic charm, with lots of wood and a barn-like quality I adored. The ceremony included a hand-fasting, which I loved. It was a perfect thing to include into their vows. One of the funnest things about this wedding, was the photobooth. 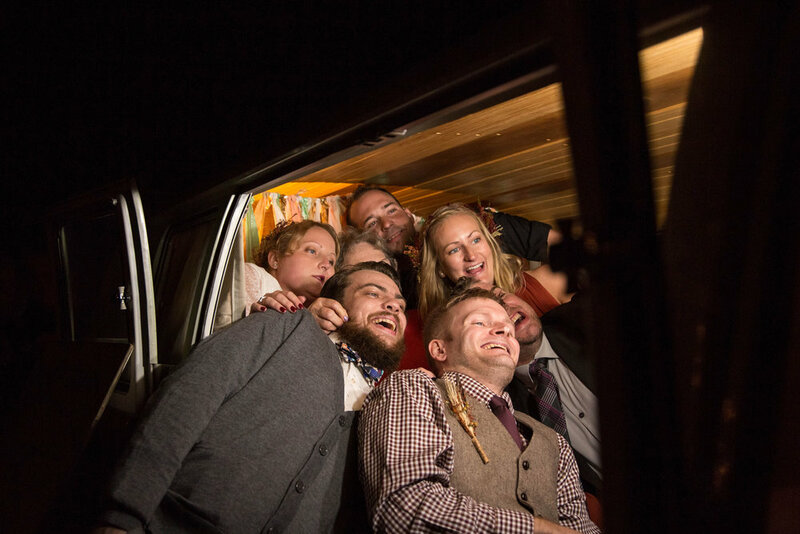 The photobooth was actually a VW Bus! I lovedddd it! It was incredibly adorable, and just perfect. My only regret is that I didn't jump in for a photo! There was lots of food, lots of love, and lots of fun. Congratulations to this beautiful couple! 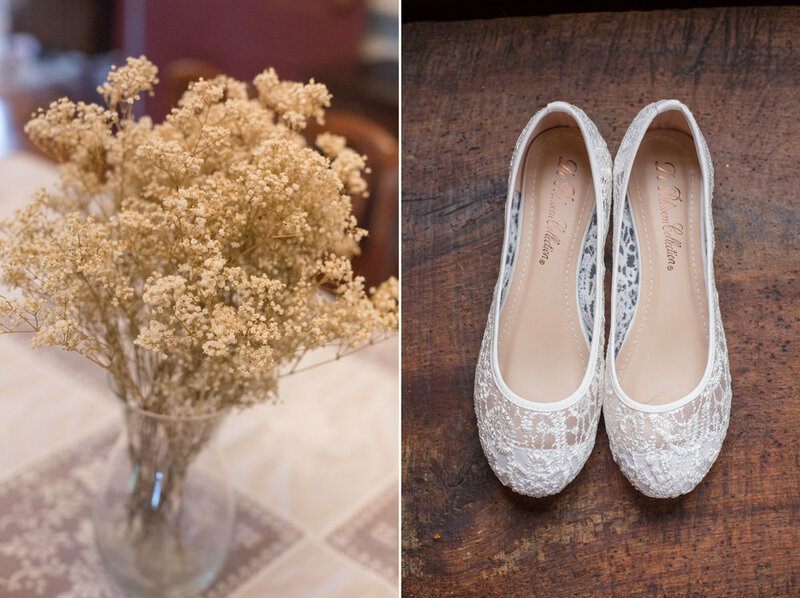 Here are lots of favorites from this wedding!